An etching of several cupping glasses. Image courtesy of the Wellcome Collection. During the Wisconsin State Medical Society meeting in 1875 Dr. Ira Manley of Markesan, WI presented a case in which a “strong young man” complains of pains in his stomach after bringing in the harvest. After the application of 16 cups and scarification to his back, the man was reportedly cured. Within a few decades, cupping would fall into decline as new bacteriological models of health and illness replaced humoral theory. Featured image courtesy of the Wellcome Collection. 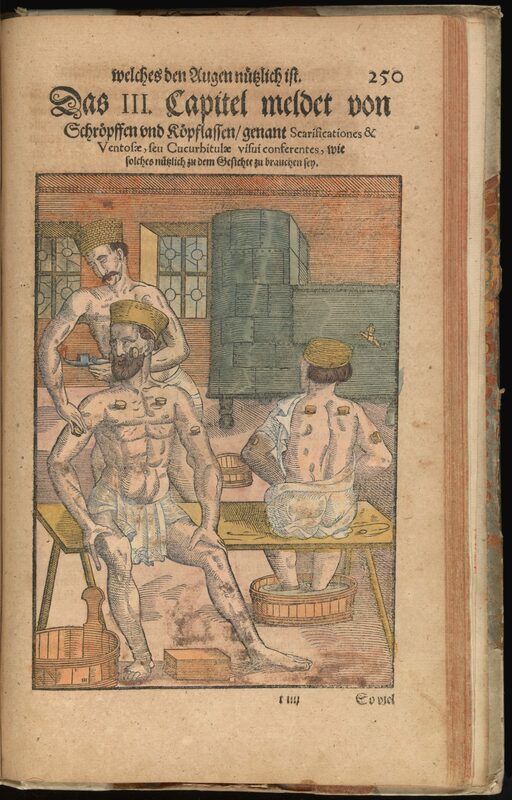 Turk, J. L. and Allen, E. “Bleeding and Cupping.” Annals of the Royal College of Surgeons of England 65 (1983): 128-131.